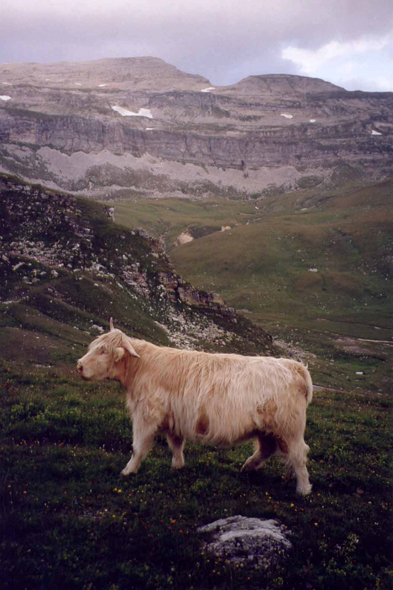 A cow along the Fusher Törl pass. Biological agriculture makes true great rise, in particular in the Tyrol, in Styria and around Salzburg. One counts approximately 20 000 biological exploitations, all anxious to respect nature and to offer to the consumers good food products.